One of the most fun ways to explore your own city is to pretend to be a tourist for the day. 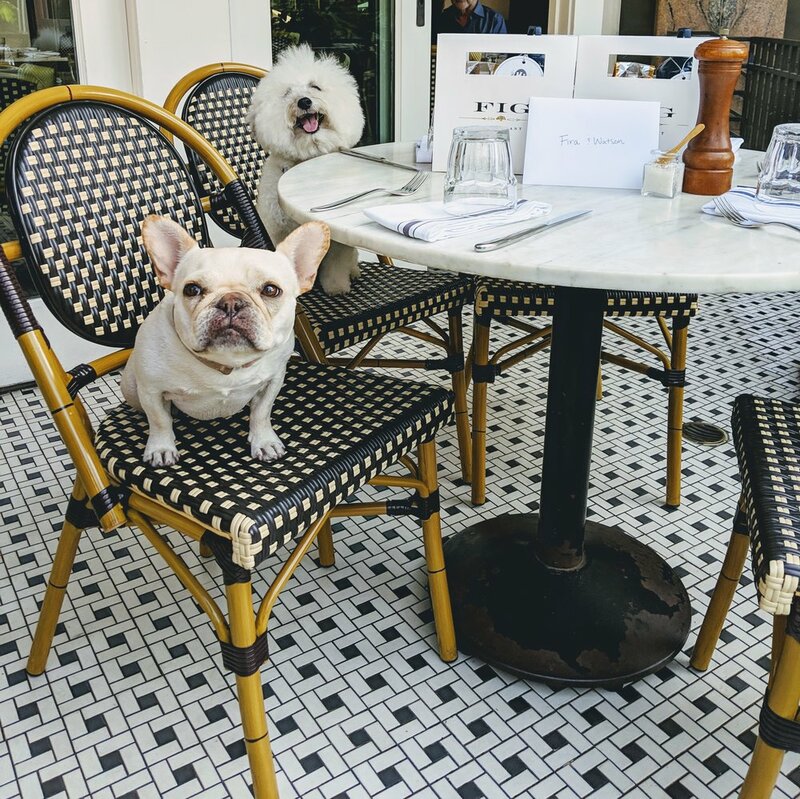 So when my new girlfriend Fira, of WTFrenchie, asked me to galavant around Los Angeles with her to find the best hotel cafés I was so excited! Cute bae in cute settings? Sign me up. 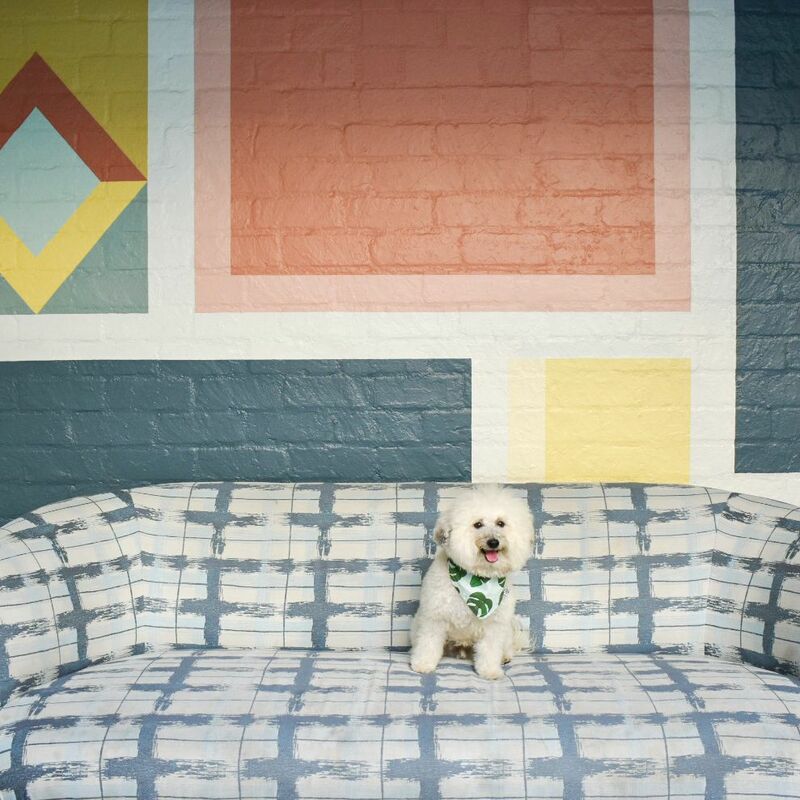 In LA there are a lot of dog-friendly hotels, but only a few are so accommodating in their restaurant. 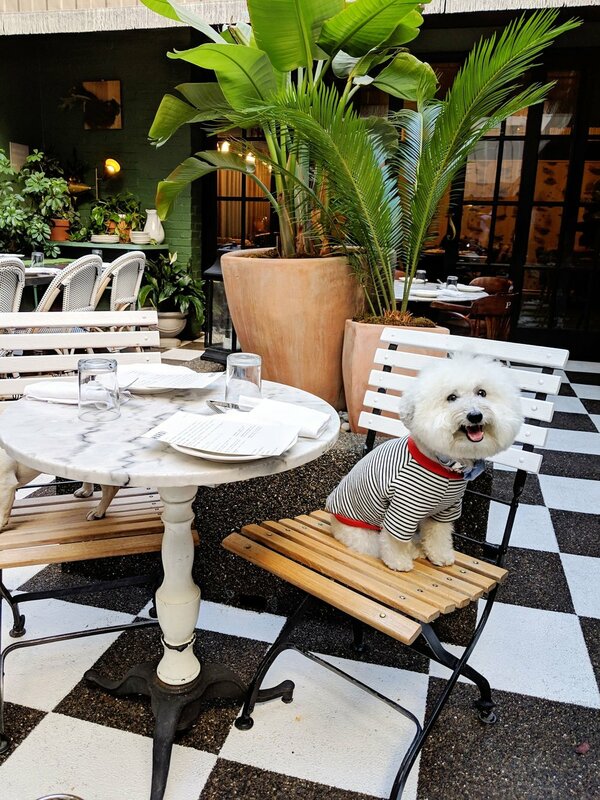 So we had to ask ourselves, where can we #brunchlife with our pups too? Read more on each below! As a westsider, this is always my go-to recommendation for guests. The Fairmont is gorgeous and smack dab across the street from the beach. Not to mention also across the street from Soul Cycle ;). 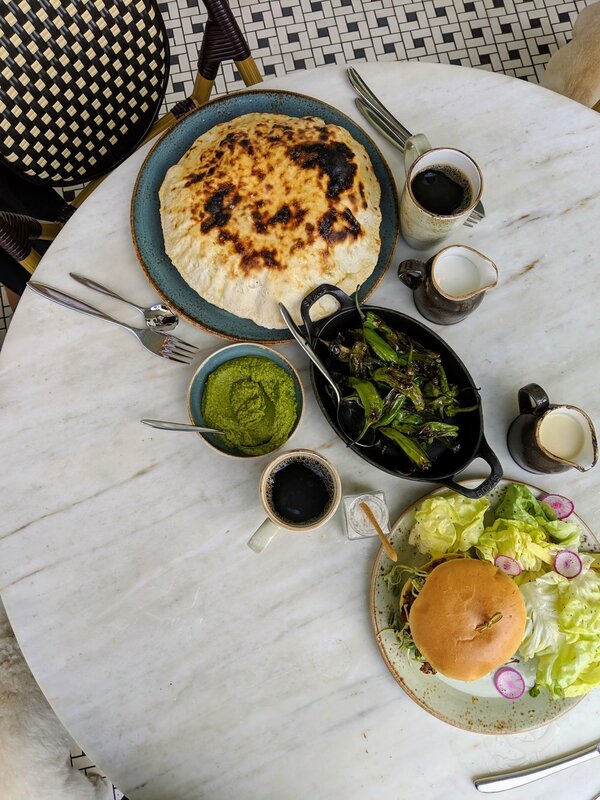 Fig is a beautiful Mediterranean restaurant situated by their pool. Every design detail is immaculate and instagrammable, especially the tile floor! We really had to force ourselves to leave, it was so relaxing of an atmosphere. The food is absolutely delicious too, for humans and for dogs! The momagers had the bread balloon with pesto which was just unreal. We also had a fried chicken sandwich and some french fries. There’s a separate menu just for dogs as well! Watson + Fira had the beef bowl - no grain which is perfect for Watson :). Special shout out to Jennifer for making our stay so wonderful! Watson’s bow tie is from Knox Dog Wear, use WATSON20 for 20% off! If you look up swanky in the dictionary, Viviane should come up! This restaurant is GORGEOUS with a photo opportunity at every corner. Especially when it comes to the walls, * swoon *. Also situated by the pool, this is the perfect spot to hang all day. There isn’t a specific menu for the pups but they were provided with adorable Avalon water dishes! Both the dogs felt right at home here. 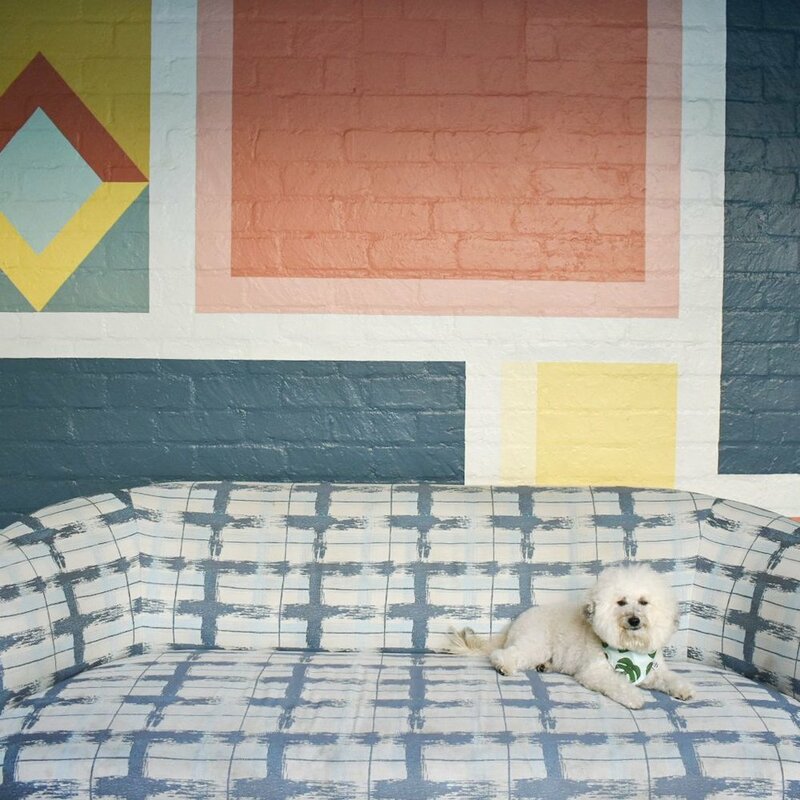 Last but not least, there’s Mardi at the gorgeous Palihouse in West Hollywood! Unlike the other hotel spots by the pool, this restaurant is situated at an indoor courtyard inside the hotel. They’ve got the Parisienne vibes down to a T. From the floor to the marble tables to the indoor awning, it’s just perfection. At this spot we had to have the drink of the summer (it’s still summer in LA, right?) - aperol spritzes!! They did not disappoint. Especially when paired with fries and meatballs ;). One of my favoite touches at this restaurant was a blanket on every chair. As you can see, our pups definitely appreciated them! Since the restaurant is open air, I could see these blankets being useful at night.